Please fill the form below to download our free informational booklet. AirMD’s network of consultants provides Pesticide Testing in Montgomery, Alabama. Why do you need Pesticide Testing? Pesticides are commonly found indoors and are often used for insect and termite control. Moving into a new home or office may expose the occupants to prior contamination as no records are provided by the seller, bank, real estate agent or attorney regarding prior use of chemicals or pesticides. Pesticides released into a building can contaminate the HVAC system causing circulation throughout the building including clothing, furniture, and floor coverings. Even in low amounts pesticides have been reported as a leading cause of sinusitis, bronchitis, migraines, immune system dysfunction, general malaise, gastrointestinal upset and even memory dysfunction. Frequently new homeowners can move into a home and live for several years before they become aware that pesticides may be the cause of these health problems. All homes should be tested prior to occupancy. AirMD and its network can serve all your environmental testing needs including: Mold testing and mold inspection, asbestos, allergy and dust mite testing, bacteria, chemical and VOC testing, lead, heavy metal, formaldehyde, pesticide and water testing. Call us, we are here to help. To book Pesticide Testing for your Montgomery home or business, Click Here. You can also call us at 1-888-462-4763 or 1-888-GO-AIRMD. AirMD, Inc. ("AirMD") is an environmental testing company formed under the laws of the State of Florida that refers inquiries for environmental testing to independent environmental testing companies. The opinions of such independent environmental testing companies may not be relied upon as the opinion of AirMD. 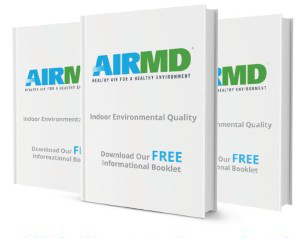 AirMD makes no representation or any guaranty of services or results of services to be performed by such independent environmental testing companies. AirMD may receive compensation from independent environmental testing companies to whom referral was made. AIRMD SPECIFICALLY DISCLAIMS ALL WARRANTIES, BOTH EXPRESS AND IMPLIED, AS TO ANY LABOR, SERVICES AND MATERIALS PROVIDED BY OTHERS, INCLUDING MERCHANTABILITY, HABITABILITY AND FITNESS FOR ANY PARTICULAR PURPOSE.